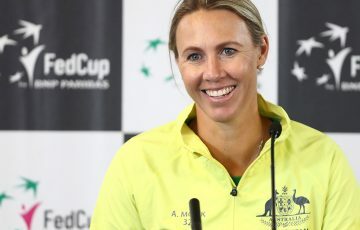 Some of Australia's greatest ever tennis players have been presented with rings by the International Tennis Hall of Fame. From Margaret Smith Court’s extraordinary 62 Grand Slam titles to John Newcombe and Tony Roche’s incredible run as a doubles team to the incomparable Rod Laver, Australia has undoubtedly produced some of the greatest tennis players in the history of the sport. 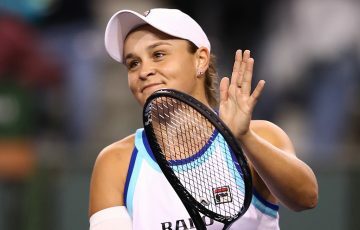 In recognition of their great achievements, 28 Australian tennis greats have been presented the highest honour in the sport of tennis – induction into the International Tennis Hall of Fame. 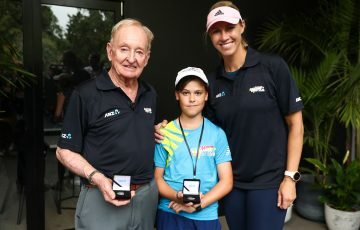 In a special luncheon and ceremony last Wednesday at the Australian Open, this important achievement was celebrated once again with the presentation of official Hall of Fame rings to 11 of Australia’s great tennis legends. The ring presentation drew together an incredible collection of tennis greats. 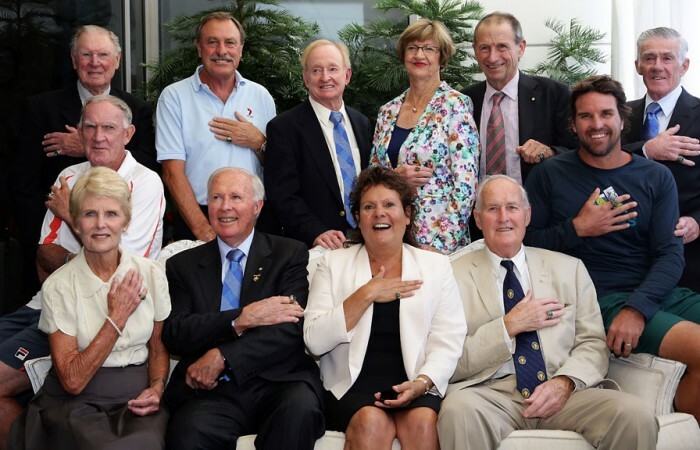 Receiving their rings at the event were Hall of Famers Lesley Turner Bowrey, Ashley Cooper, Margaret Smith Court, Neale Fraser, Evonne Goolagong Cawley, John Newcombe, Frank Sedgman, Patrick Rafter, Tony Roche, Ken Rosewall, and Brian Tobin. Also participating in the celebration was Hall of Famer Rod Laver, who received his ring last year in a presentation at the BNP Paribas Open near his home in California. Hall of Famers Owen Davidson, Roy Emerson, and Mark Woodforde have also received their rings in prior ceremonies. The personalised rings were introduced in 2011 and are being presented to Hall of Famers at tennis events around the world over the next few years as a special symbol of their Hall of Fame induction. The rings bear a green stone set in gold, to complement the International Tennis Hall of Fame’s brand colors. In addition, the rings are etched with each honouree’s name and the Hall of Fame logo crest. The rings have been generously underwritten by The Bruce T. Halle Family of Scottsdale, Arizona. The rings were presented by International Tennis Hall of Fame Chairman Christopher Clouser, Hall of Famer Stan Smith, who also serves as president of the International Tennis Hall of Fame, and President Emerita Jane Brown Grimes. Often heralded as one of the greatest tennis players of all time, The Reverend Doctor Margaret Smith Court remains the record-holder for Grand Slam titles, having won an extraordinary 62 titles in singles, doubles, and mixed- more than any other woman or man to ever play the game. 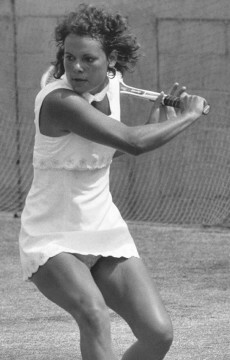 In 1970, she became the first woman in the Open Era to win a singles Grand Slam. In recognition of her tremendous career, Court was honoured with induction to the International Tennis Hall of Fame in 1979. 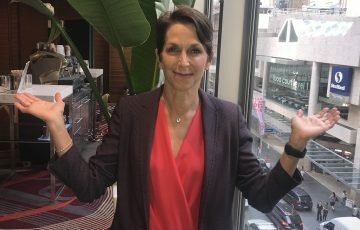 Achieving great success around the same time period as Court, Lesley Turner Bowrey, Hall of Fame Class of 1997, was the winner of two singles titles at the French Championships, and eleven additional major titles in doubles and mixed doubles. 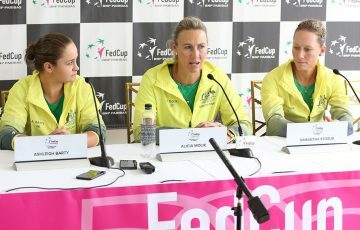 Bowrey was a member of two championship Fed Cup teams, and she later went on to serve as captain for Australia. Also honoured at the luncheon was another of Australia’s great female players, Evonne Goolagong Cawley. 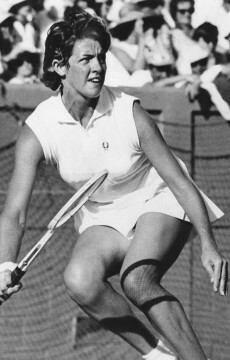 From 1973 to 1978, Cawley reached the final of every Grand Slam singles event she entered, except for just one. 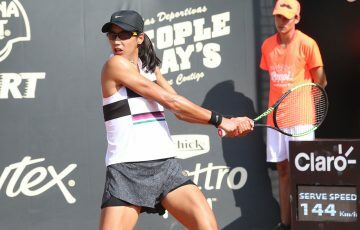 She won the Australian Open an incredible four times in a row, and was also a singles champion at the French Open and Wimbledon, in addition to winning six major doubles titles and one in mixed. 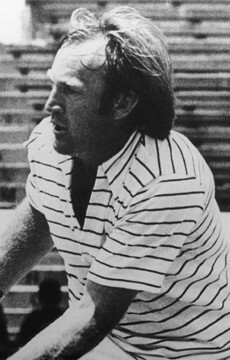 Cawley entered the International Tennis Hall of Fame in 1988. Together, John Newcombe and Tony Roche formed one of the most successful doubles partnerships in tennis history, winning 12 Grand Slam doubles titles. As a result, they were inducted to the Hall of Fame together in 1986. In addition to their doubles success and to being integral members of the Australian Davis Cup teams, Newcombe and Roche had highly successful individual careers as well. Newcombe captured seven major singles titles, and went on to serve as an inspiring Davis Cup captain in the 1990s. Roche was a French Open singles champion, and he has been one of the game’s most successful coaches, guiding the careers of world No. 1’s including Roger Federer, Lleyton Hewitt, and Pat Rafter. Winning three of the four major titles over the course of a single season is a rare feat, but Ashley Cooper accomplished just that in 1958 when he swept the three grass court majors of that era – the Australian Championships, Wimbledon, and U.S. Nationals. 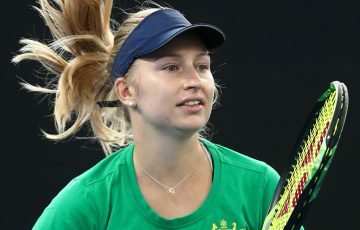 In the prior year, Cooper was a member of Australia’s victorious Davis Cup team. He was inducted to the International Tennis Hall of Fame in 1991. 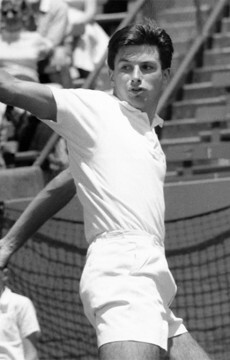 A name synonymous with Australian Davis Cup accomplishments, Neale Fraser was a member of four championship teams himself, and he became Davis Cup Captain for the Australian team in 1970, holding the position for a record 24 years and leading the team to four championships in the 1970s and 1980s. In his own career, Fraser, a Class of 1984 Hall of Famer, won a remarkable 19 major titles, including a pair of U.S. singles crowns and a Wimbledon singles title. 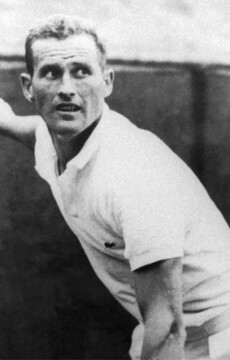 A five-time singles champion at the Grand Slam events, Frank Sedgman was also a champion in both doubles and mixed at all four majors, for a total of 22 Grand Slam titles. 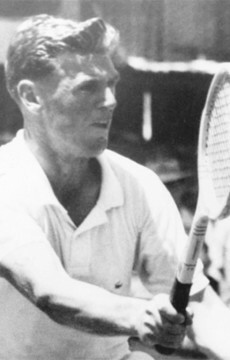 In addition, Sedgman was integral in leading the Australians to Davis Cup triumph for three consecutive years at the start of the 1950s. Sedgman was honoured with Hall of Fame induction in 1979. 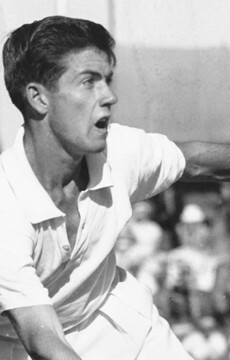 In a lengthy career that spanned more than two decades, Ken Rosewall won an incredible 23 majors including eight singles titles. He captured major titles in his teens, his twenties, and his thirties, a feat matched only by Pete Sampras in the men’s game. 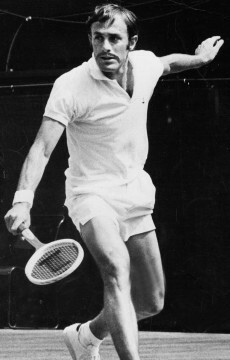 With his famous backhand, Rosewall stayed at the top of the game, and he was ranked among the top 20 players, every year for 25 years, from 1952 through 1977. In 1980, he was inducted into the International Tennis Hall of Fame. Also receiving his Hall of Fame ring at the luncheon was Australia’s current Davis Cup captain and a former world No. 1, Pat Rafter, who was inducted in 2006. 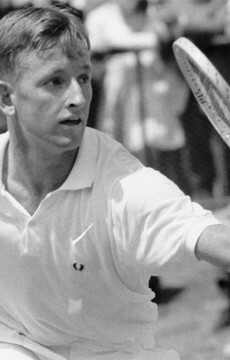 Rafter captured 11 singles titles and 10 doubles titles over the span of his career. In 1997 and 1998, he became the first Australian man in the Open Era to win back-to-back US Open titles, and in 2000 and 2001, he was a Wimbledon finalist. Tennis in Australia and around the world is better off for having had Brian Tobin’s support. As a player, he was ranked among the Australian top 10 in the 1950s and 60s, but his most impactful contributions to tennis have been in his leadership work off the court. 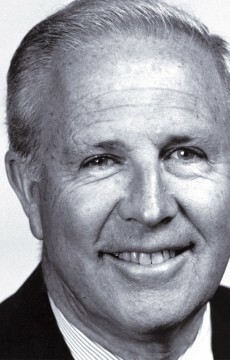 Tobin served as president of Tennis Australia between 1977 and 1989, during which time he presided over the Australian Open’s move from Kooyong to its current state-of-the-art facility. From 1991 to 1999, Tobin served as President of the International Tennis Federation, helping to grow the game around the world. In recognition of his contributions to grow the sport, Tobin was honoured with Hall of Fame induction in 2003. Since 1955, 224 of the greatest champions and contributors to the sport have been inducted to the International Tennis Hall of Fame, including 28 from Australia. Hall of Famers hail from 19 different countries – a testament to the global reach of the game. Located in Newport, Rhode Island, the International Tennis Hall of Fame & Museum is a non-profit institution dedicated to preserving the history of tennis and honouring the game’s greatest heroes. In addition, the Hall of Fame provides a landmark for tennis enthusiasts, offering an extensive museum that chronicles the history of the sport and its stars, historic grass tennis courts that date back to 1880 and are open to the public, an ATP World Tour tournament and the annual Hall of Fame Induction Ceremony in July, and numerous public events year-round. To learn more, visit tennisfame.com.